1. Refunds are calculated based on tuition fees paid and any textbooks that have been paid for but not issued. Service fees (administration fee, homestay placement fee, airport pickup fee) are non-refundable once the service has been completed. 2. Enrolment contracts are signed on the first day of classes. Students who withdraw from the program before or within 2 days of signing the enrolment contract will receive a full refund of tuition fees and paid books that have not been issued, provided that notice of withdrawal is received in writing. Students who withdraw because they were denied entry by Canada Immigration must send a copy of the denial letter together with written notice of withdrawal. 3. Students are required to notify LLI of intent to terminate his/her program at least 4 weeks in advance of termination date. If 4-week notice is not given, the refund will be calculated based on unused tuition fees as of 4-weeks after notification date. 4. A refund of 70% of unused tuition fees will be returned to the student. If the original payment was made by cash, or debit the refund will be made by cheque. If the payment was paid by credit card, the refund will be credited to the same credit card. If the payment was made by wire transfer, the refund will be made by cheque or by bank wire transfer to the account the money originated from, whichever the student prefers. The refund will be calculated based on applicable tuition fees of duration studied, not a percentage of total fees paid. 5. This refund calculation is based on original start and completion dates. Students who defer their study period to a later date once in Canada will be permitted to study for that period of time, but will not be refunded for that time after the fact. 6. It is each student’s responsibility to abide by the regulations of his/her study permit, therefore a student who terminates his/her program prior to the expiry of his/her study permit is responsible for notifying Canada Immigration and doing whatever is required to maintain his/her status in Canada. 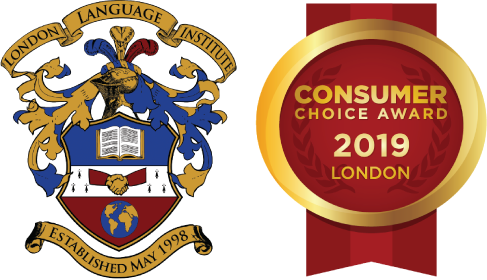 It is London Language Institute’s responsibility to notify Citizenship and Immigration if a student terminates his/her program prior to the expiry of his/her study permit.